Tipping in Iraq isn’t common or expected. 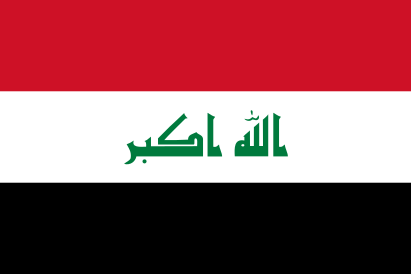 Travel to Iraq isn’t safe at the moment and traveling to Iraq is highly not recommended. Which is a shame as Iraq had a lot of history and Baghdad was known for its amazing nightlife and food. Hopefully in the years to come Iraq becomes stabilized and tourism can resume. In the meantime be safe and rethink your travel plans. If you go to Iraq be sure to use our tipping guide to figure out when you should tip on your travels in Iraq! Taxis: Tipping taxi drivers in Iraq isn’t common or expected, you can round up the fare if the ride was good. Hotels: Tipping in hotels in Iraq isn’t common or expected. Restaurants: Sometimes a service charge of 10% is included. If you felt the service was good you can leave up to 10% of the bill. Bars: Tipping Bartenders in Iraq isn’t common or expected. Other: Chances are you wont be going to Iraq. If you do though, don’t worry about tipping! Savvy Travel Secrets is a group of authors that travel the world to explore everything the earth has to offer. We are now sharing our savvy traveling secrets with you! Experience your own memories using some of our ideas to help make traveling cheaper and easier!